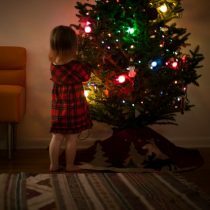 As if Christmas wasn’t complicated enough – the gifts, the decorations, the food, the parties, the hangovers – there is an added, and potentially trickier, consideration for separated parents. Where, and with which parent, do your children spend the festive period, especially Christmas Eve and Day? This is an issue that has had the attention … Continue reading "5 tips for successful Christmas arrangements for separated families"